Europe's largest insurer wants to raise return on equity for all of the divisions at its life and health unit to at least 10 percent. (Bloomberg) — Allianz SE, Europe’s largest insurer, aims to generate an additional 6.5 billion euros ($6.9 billion) in annual premiums as the company focuses on its most profitable businesses. Allianz wants to achieve annual earnings per share growth of 5 percent on average from 2016 to 2018, the insurer said in a statement on Tuesday. The Munich-based company is also targeting a return on equity of 13 percent, adjusted to exclude unrealized capital gains on bonds and other items, by 2018. Oliver Baete, chief executive officer since May, is grappling with low interest rates, stricter regulatory capital requirements and concern over a slowdown in the insurer’s main markets. The CEO has also highlighted increased use of digital technology both as a disruption and an opportunity for insurers. Hawkins said that KBW and other analysts had expected EPS to be “reasonably flat” over the next five years. The stock fell as much as 1.7 percent in Frankfurt and was down 0.6 percent at 162.20 euros as of 11:53 a.m., trimming its gain this year to 18 percent and valuing the company at about 74 billion euros. The 35-member Bloomberg Europe 500 Insurance Index fell 1.2 percent. Allianz said it formed a venture with Baidu Inc. and Hillhouse Capital Management Ltd. to provide digital insurance in China. The venture, in which Allianz will have a 20 percent stake, will focus on property and casualty insurance in a market where digital insurance is forecast to have 40 percent compound annual growth for the next five years, the company said. Allianz wants to raise return on equity for all of the divisions at its life and health unit to at least 10 percent. Germany and Spain were the only two of the company’s eight national divisions to exceed that level last year, the company said in slides on its website. Allianz’s net premiums rose 2.5 percent to 68.3 billion euros last year from the previous year, company filings show. Return on equity after tax fell to 11.2 percent from 11.9 percent over the same period, according the filings. The insurer is adding a new target to reflect customers’ willingness to recommend the company to friends and colleagues. By improving that metric, the company said it can attract an additional 5 million clients and 6.5 billion euros of annual premiums. “What’s more important than the immediate targets is the scale of the changes, and how they plan to digitalize the business,” said Charles Graham, a senior analyst at Bloomberg Intelligence in London. 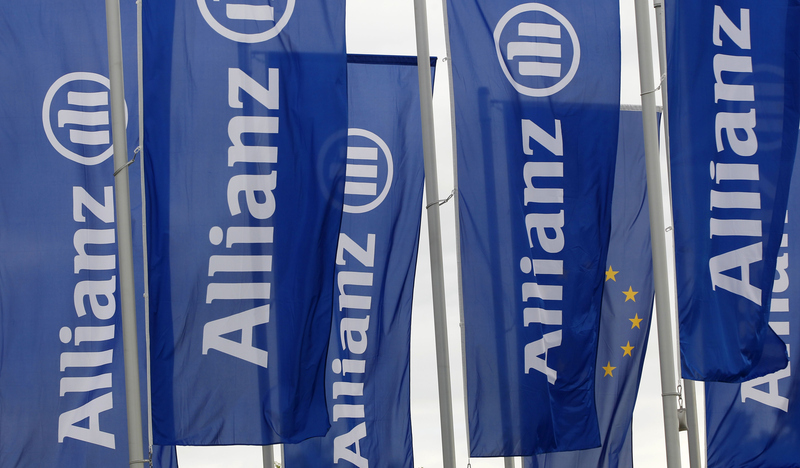 Allianz plans to increase annual productivity by 1 billion euros by 2018, according to the statement. The company said it will strengthen its most competitive businesses and expand smaller, “high-performing” units by creating regional platforms. Less-profitable businesses will release capital that can be deployed to fuel growth elsewhere, the company said. Allianz’s Pacific Investment Management Co. plans to strengthen its presence in Brazil and Miami, focusing on institutional investors, pension funds and family offices, according to the presentation. Pimco will start new products in Canada and also plans to attract Japanese investors, who are seeking to move away from cash deposits.